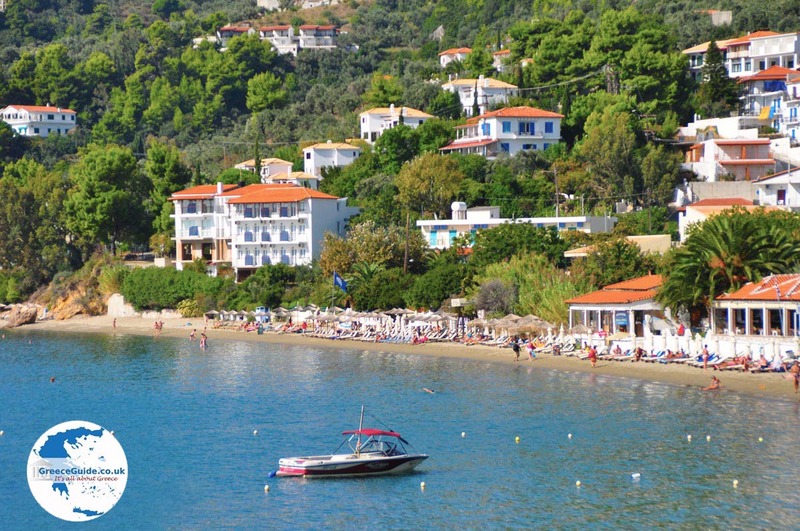 Ftelia is located on the Greek island of Skiathos about three kilometres from Skiathos town. 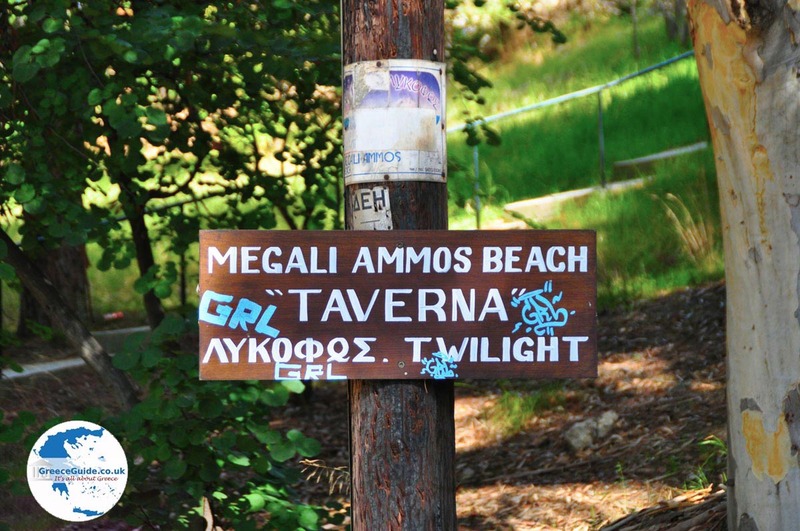 Ftelia has the same characteristics as Megali Ammos. 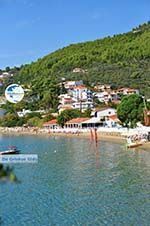 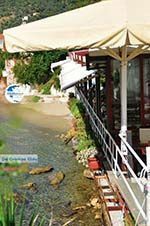 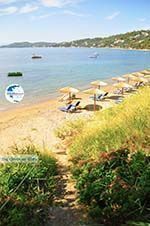 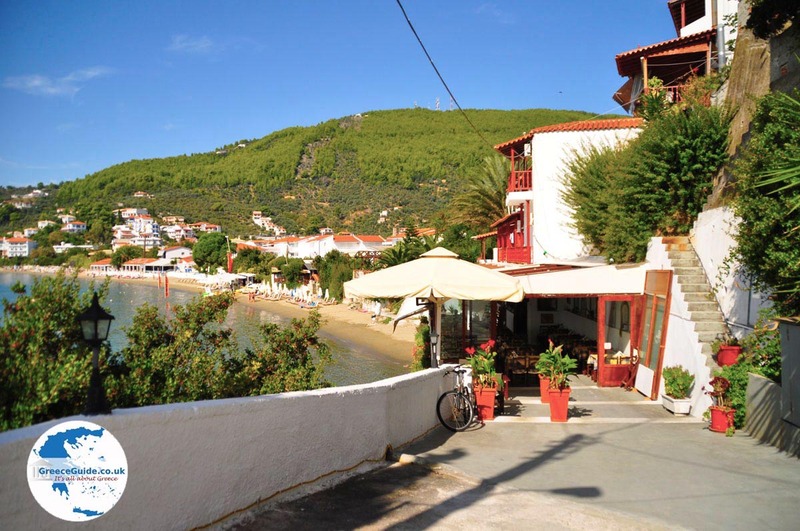 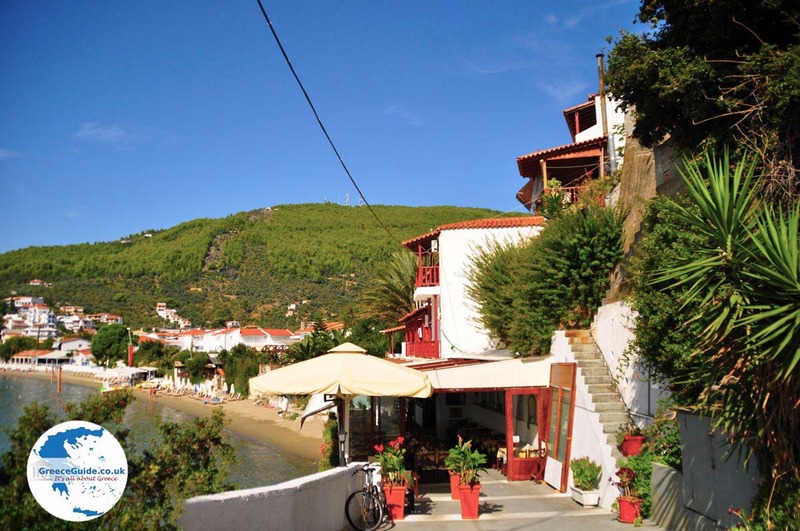 Both beaches are a short drive from Skiathos Town and easy to reach, buses go once an hour. 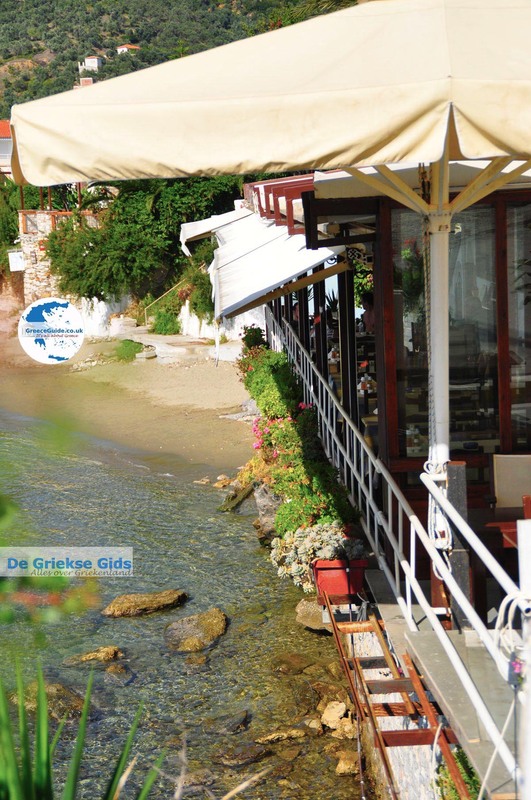 Nearby are a number of mini markets. 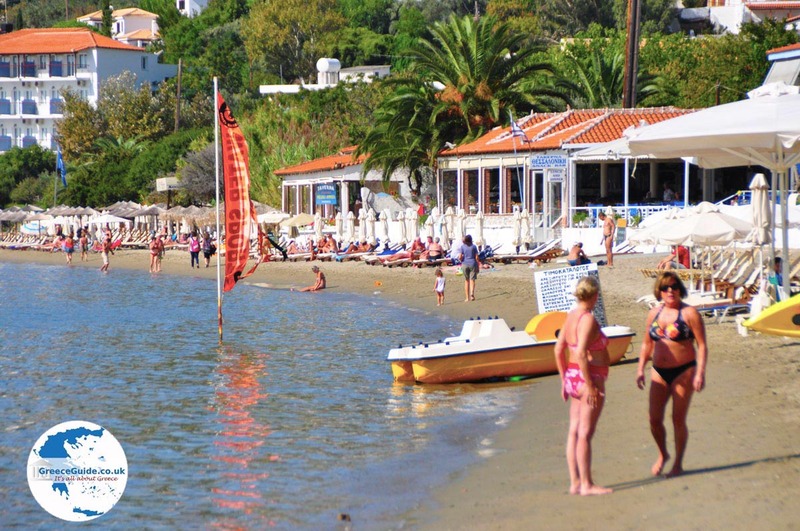 Many tourists visit Megali Ammos and Ftelia on foot, strolling there takes about thirty minutes. 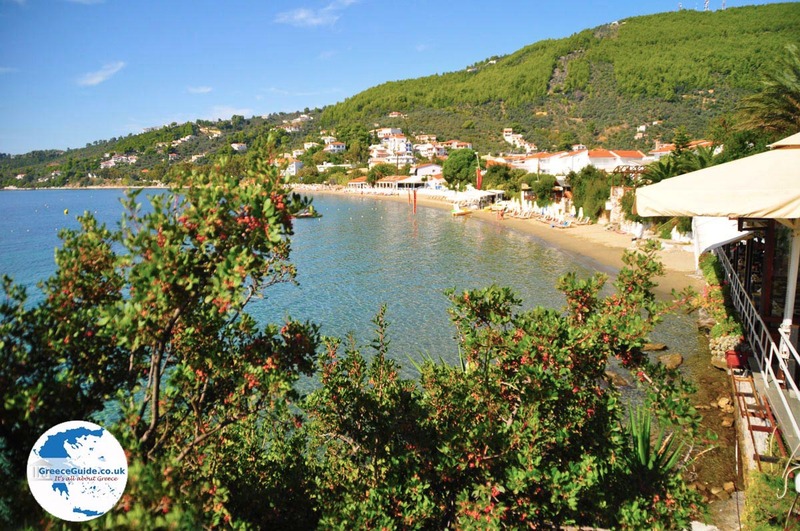 In Megali Ammos and Ftelia live about a hundred permanent residents. 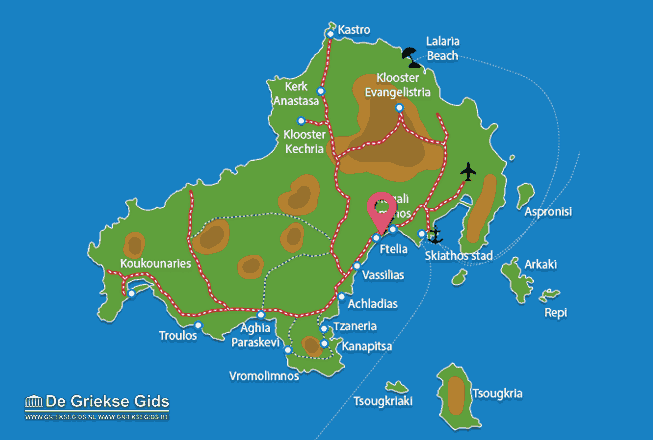 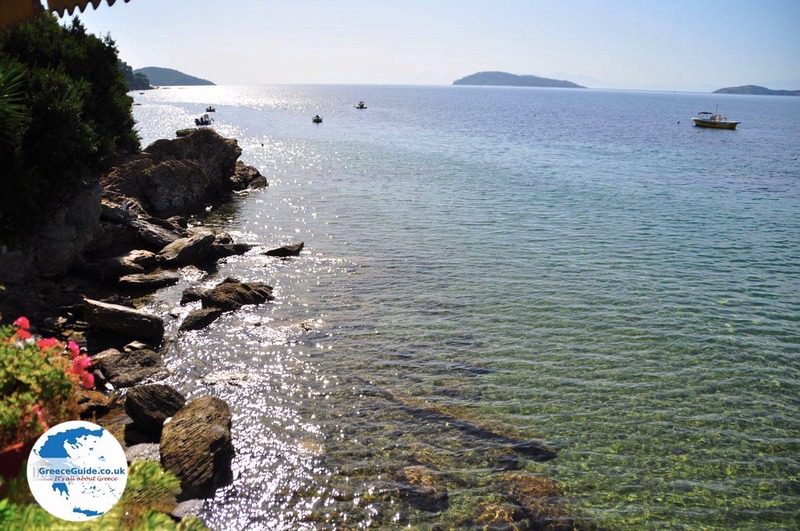 Skiathos: Where on the map is Ftelia located?